FAQ: Origins of the name Twigh Twee? In many historical works readers encounter the term Twigh Twee as one name for Myaamia (Miami) People. So where did this unique name come from? The short answer is that we don’t know for sure, but the name probably came from the Cherokee or the Haudenosaunee (Iroquois). The longer and more complicated answer is a little more interesting. When we go back to early historical record and look for references that include the term Twigh Twee, we only find this term being used by people who historically lived to our east: Delaware, Shawnee, Haudenosaunee (Iroquois), Pennsylvanians, and Virginians. We have yet to encounter a French source that uses this term to refer to Myaamia people. Nor do we find references from Ojibwe, Potawatomi, Ottawa, Wyandot, or other peoples who historically lived to our north and west. In 1824, C.C. Trowbridge recounted one story that perhaps explains the origin of this term. 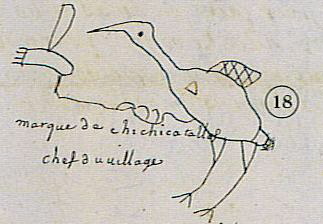 Trowbridge’s two main sources of information were the Myaamia leaders Pinšiwa (Jean Baptiste Richardville) and Meehcikilita (Le Gros) and one or the both of them shared the following story with him. Early in our history, the Myaamia “discovered the Cherokees and were in the habit of making war on them.” [The Cherokees traditional homelands lie in what is today northern Georgia, Alabama, and the western Carolinas.] The Myaamia had made three successful raids on the Cherokees when they decided to make a retaliatory raid. The Cherokee war party journeyed until they reached a large river. [Pinšiwa and Meehcikilita did not name this river, but it seems likely that this was the Kaanseenseepiiwi (Ohio River). One of our war trails to the Cherokee and Chickasaw homelands crossed the Kaanseenseepiiwi near what is today Cincinnati.] On the near bank of this large river, the Cherokee war party discovered a single trail and upon crossing they found many tracks, which they followed. Eventually they encountered a mark “blazed upon the side of a tree.” It was the head and neck of cecaahkwa (the Sandhill Crane). Eventually the Cherokee war party came to prairie where they saw two cecaahkwa, which they drove before them as they crossed the grassy meadow. The Myaamia were lying in ambush on the opposite side, and as the Cherokees approached the cecaahkwa began to cry out in fright. This name seems to have taken root among many eastern tribes: the Delaware, Shawnee, Haudenosaunee (Iroquois), and likely among the Cherokee as well (although we have yet to encounter a Cherokee reference to this story or the Twigh Twee name). These groups then passed this name on to the English. As a result, many of the early English documents refer to the Myaamia as Twigh Twees or Twigtwees. Tribes to our north and west seem to not have used this term. They used Myaamia, the downstream people, and this is the name that was passed to the French. So most of the early French documents refer to us as the Miamis, which they spelled in a multitude of different ways. 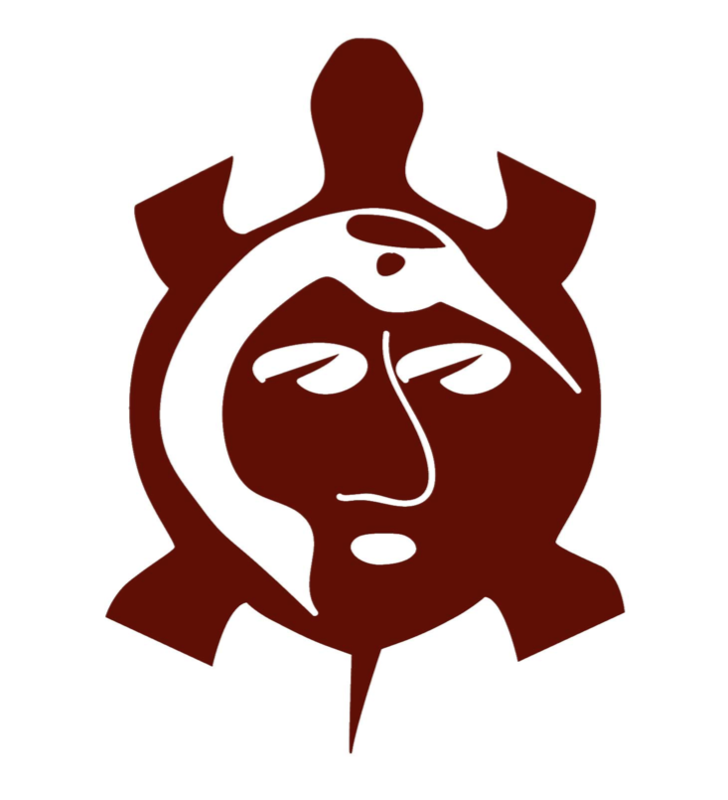 Symbol of community by Julie Olds (Miami Tribe of Oklahoma). In a few cases, both today and in the past, Myaamia people adopted the name Twigh Twee to refer to themselves. However, early in the 20th century, Gabriel Godfroy clearly stated the name “to-wä-to-wä” was a name that other tribes used to refer to the Myaamia. Today, the majority of Myaamia people use Miami, “Miam-uh,” or Myaamia to refer to ourselves. Cecaahkwa (Sandhill Crane) continues to be a key symbol of community for Myaamia people. Charles C. Trowbridge and W. Vernon Kinietz, Meearmeear Traditions (Ann Arbor [Mich.]: University of Michigan Press, 1938), 6. Later in the text Trowbridge states “The Cherokees are the only Indians against whom they maintained a war for any time.” By the 1800s, Myaamia relations with the Cherokee had vastly improved. Pinšiwa met with Cherokee leaders either in Baltimore or Washington D.C. and learned about their efforts to reorganize their nation. After the forced removals of 1846 and 1873, the Cherokee became close neighbors of the Myaamia. David J. Costa, “Miami-Illinois Tribe Names” in Papers of the Thirty-First Algonquian Conference, John D. Nichols, ed. (University of Manitoba Press, 2000), 44-45. Costa, “Miami-Illinois Tribe Names,” 44.